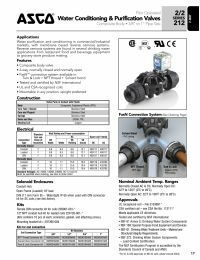 This 2-way normally closed solenoid valve is suitable for use in commercial/industrial water purification applications such as reverse osmosis systems, restaurant food and beverage equipment and grocery store produce misting systems. It can also be used with UV water treatment system. 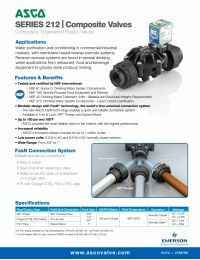 Valves are easy to install and are NSF certified.